2 Corinthians 9:11-13 Yes, you will be enriched in every way so that you can always be generous. And when we take your gifts to those who need them, they will thank God. So two good things will result from this ministry of giving—the needs of the believers in Jerusalem will be met, and they will joyfully express their thanks to God. As a result of your ministry, they will give glory to God. For your generosity to them and to all believers will prove that you are obedient to the Good News of Christ. During this time of year we all find ourselves reflecting on the things in our lives for which we are thankful: life, health, strength, family. Yet in my mind being thankful is something that should be reflected outwardly as well as inwardly. Eternal Father we give thanks to you for you are good and your mercy endures forever. As we observe Thanksgiving, we thank you for establishing your will on earth as it is in heaven. Thank you for enriching us in every way so we can always be generous. Father it is your will for us to give thanks to you always and in all things. As we observe Thanksgiving help us to look daily for ways to show you our appreciation for the favor you have shown us. Remind us we are blessed to be a blessing and help us find ways to bless others so that they will in turn thank You. Help us to meet the needs of others so they will joyfully express their thanks to You and as a result of our ministry they will glorify You. Forgive us for always wanting more and not counting our blessings. Remind us of those we need to forgive. Thank you that your lead us not into temptation but deliver us from the evil one. Blessings and honor and glory be unto forever, Amen. Share this message with your friends, family, co-workers and social network pals. Thanks! We’ve all heard that success is a journey, not a destination. I say that marriage is a journey, not a destination. In other words you have to constantly work at building a successful relationship; it doesn’t just happen. We know that the cares of this world: career, children, household chores, other family members, and more take up so much of our time that by the end of the day, we have nothing left to give to our spouses. 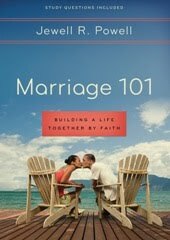 In turn, our marriages are missing the very core of what it should have: love. A successful marriage is not based on a couple having no challenges or disagreements. But it is based on how they communicate with one another day after day. The definition of communicate is: a process by which information is exchanged between individuals through a common system of symbols, signs, or behavior (words or deeds); to open into each other: connect. Therefore, communicating is connecting to one another on a daily basis to strengthen and enrich your marriage. I am not talking about the day in and day out of the routine of marriage – a peck on the cheek, “Have a nice day” – to a call in the middle of the day to discuss the children or why you will be home late – to a peck on the cheek and lights out. Marriage is a lot like a bank account. A successful couple makes daily deposits – ways to make their marriage a priority. Read all of the interviews at Black Pearls Magazine, view here! Gwynne Forster was born in North Carolina, grew up in Washington, D. C., and has lived, studied and worked in New York City ever since she came of voting age. She considers herself a humanitarian, a perspective that she inherited from her mother, a high school principal, and which she also attributes to her work and education in the social sciences, more specifically, demography. Her fiction writing reflects her training in the sociology of the family and her understanding of inter-personal relations. It should not be surprising then, that quite a few of Gwynne’s novels and novellas are set within the context of the family. Always by gathering together with lots of family members, laughing and talking, and eating way too much food! What are the “traditions” for your family? Preparing my mom’s cornbread dressing, her baked macaroni & cheese, cheese potatoes & smoked turkey—we prepare many other dishes, too, but those four items are a must for all of us. What are you most thankful for today? What message does all your book have in common? I am most thankful for Jesus Christ in my life and for the health and well being of my family and myself. How do you celebrate the holidays? What are the “traditions” for your family? Like everyone else by eating. Isn’t that what we all look forward to? Just being together is tradition for us, but “remembering” the reason for the season is a common practice. My father instilled in us the joy and celebration and reason we have what we have. What was your most memorable holiday from the past? Christmas has always been my favorite holiday, not only because of the gifts, but because of the memories of anticipation leading up to the day. I particularly remember Christmas Eve – the house dimly lit with flickering lights from the Christmas tree. Me and my siblings leaning over the banister trying to sneak a peak of Santa putting some goodies under the tree. Christmas of 2002, celebrating after the birth of my first grandchild! Our holiday tradition is to gather together as a family on Christmas morning for Xmas breakfast, which I prepare. We come together on New Year’s day for gumbo, prepared by my daughter. What are you most thankful for today? What message does all your books have in common? I’m most thankful for my kids and grandbabies, that we’re all healthy and happy. The message my books have in common is to cease judgment – and to love, above all else. Christmas is always the most memorable for me. My younger brother and I never got a wink of sleep! We would drift in and out all night long! My mom made it clear that were not allowed to go into the living room until at least 6 am. We would always try to peek, but my mother (don’t ask me how), would always get it to be pitch black in the living room so we couldn’t see a thing! I sometimes miss sitting in the room with my brother talking about what we think we got. Well now that the kids are older we can really start some traditions. This year we’ll be making some cookies. We always watch “The Christmas Carol” together. On the 23rd I read “The Night Before the Night Before Christmas” by Natasha Wing and Mike Lester to them, and on Christmas Eve I read “The Night Before Christmas”. 30 Shopping Days to Christmas! The holidays are upon us! 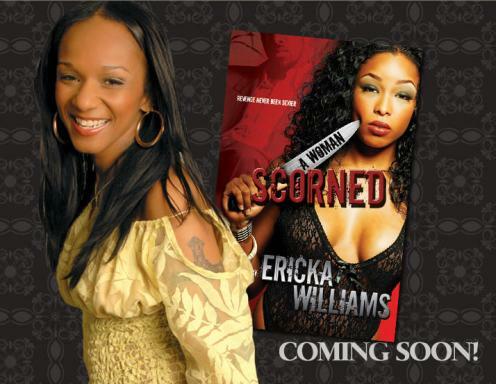 At EDC Creations we are getting a head start putting great books in the hands of readers. The Black Pearls Magazine is getting a totally new makeover for Christmas and New Year holidays! Special ends Dec. 12, 2009. Reserve your slot today to spread your message to EDC Creations fans and readers.To help showcase our new books and business owners, I have some wonderful packages to showcases authors, community leaders and business owners in the EDC Creations network. We can expand your territory of readers/clients by thousands in 5 days! Let me know if we can reserve a slot for you or a friend today. Authors and business owners can check us out here. The book world needs to know you! More holiday cheer and promotions available here. Email the following material to this email account ONLY: edc_dg@yahoo.com. Please make sure your information is correct before sending. No revisions or refunds after the promotion has started. We reserve the right to refuse service to X-rated material. Note: A representative will email you at the PayPal address that you made the payment from with further instructions. If this PayPal address is not your main email address, make sure you check out that account for our message. 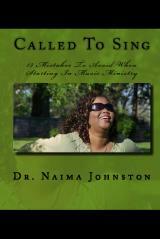 Christian Recording Artist, author and educator, Dr. Naima Johnston has a passion to see others achieve their God Given Dreams. After many years of being told she would never make it as singer, Dr. Johnston left her position as the Associate Director of Student Life at Wright State University to launch a recording career and a brand new ministry. After years of trials, loss and failures, Dr. Johnston discovered the keys to successfully building her life and ministry. Now traveling the country encouraging and equipping others, Dr. Johnston empowers people to live the life that they were ordained to live. On the verge of quitting ministry due to a lack of growth Dr. Johnston discovered that if she followed the example of Gideon she would be successful. In the Bible, Judges Chapter 6, the Lord instructs Gideon to fight a battle he could not possibly win. When Gideon informs the Lord he can’t win the battle, the Lord tells him not to worry since He would in fact be going with him. Dr. Johnston now does over 100 ministry engagement a year, has self published two books and is completing the recording of her second CD. Seminar participants will learn: The 4 Things That Keep You From Achieving Your God Given Dream, The 9 Things That Must Be Done To Achieve Your God Given Dream and 5 Uncommon Things To Motivate Yourself! This free Conference Call will be a powerful preparation tool for those who want to launch a new business, a ministry or get motivated to achieve a life long dream! Participants must register and spaces are limited. To register send an email to: naimasbrokenbox@yahoo.com for more information and registration for the “Go With What You Got Conference Call on Dec. 1, 2009. Still booking for Dec/Jan/Feb! Would love to be of service to your church, women’s organizations, educational institution, house concerts! Email me for open dates! Want to achieve Your Calling? Register for my free tele-semianr – How To Achieve Your God Given Dreams – shoot me an email for more info! Dec. 1, 2009 at 8pm EST! My Mom was a wonderful cook when I was growing up. My brother and I looked forward to the holidays because mom would really throw down in the kitchen. Unfortunately, as she got a little older, her food started to taste like she forgot some of the ingredients. So it became my job to cook the holiday dinners, as wonderfully as she did for the family. Before the holiday, Mom would always season the turkey for days. So, I had to figure out ways to get the turkey from her and season it with all the spices she forgot. I had to be clever, and give any excuse imaginable to get that turkey, and everything else to my house. When she was living with me briefly it was easy; I would beat her to it or just wait until she went to bed, and re-season everything, wrap it back the way she had it and she’d never knew the difference. Later on when she moved out to her place, it became more of a challenge getting the turkey! I had to scheme, connive, and plan the captures! Most times the fact that we were having dinner at my house worked, so she allowed me to take the turkey and then I could do what was needed. One year Mom got smart! She decided to start cooking at my house and the kids called me hysterical….. GRANDMA IS COOKING! I told them to go into the kitchen and hide certain major ingredients and that I would be home ASAP! When I got there, Mom was looking for the very food items I told the kids to hide. Exactly as I planned. She was a little shocked and told me that I needed to go to the store, “I don’t know how you cook Debra!” I took her home and finished the dinner preparations as intended. Another successful year for the turkey! Every year thereafter, with me sneaking behind her and re-doing the food, she would joyously say “This is the best Turkey I’ve ever made!” The kids and I would just smile and agree. To this day and it’s been 20 years, she doesn’t know we re-create the food, and we plan to keep it that way! This is just our secret now, don’t tell…. This has become a family tradition that my children and I have created; actually getting a kick out of “Out Smarting Grandma”! What I am most thankful for is that we have created this tradition quite by accident, but it’s something we plot and plan together as a unit, to create a magical day for the family. We really enjoy the pride on my mother’s face when she declares it the best dinner she has ever made! What are you reading? What’s on your “to be read list”? Have you read a great book excerpt and want to tell others about it? Here is the place! Share all your book reviews and previews. FB readers, post your book reviews and comments on the Black Pearls Magazine thread here. Read our selected book excerpts and tell us what you think of the stories. Here is the list of selected books. They are in our sidebar section. There are several new releases and trivia games listed as well. Enjoy! Answer any one of these questions to enter our drawing for FREE Review Copies. Remember to leave a valid email address with each post. Check back here on December 9, to see if you won! — Name 1 book you wish you’d written. — Name your 3 favorite male writers. — Name your 3 favorite female writers. — Name 1 book you read on the sly. — Name 1 book that made you laugh or cry. — Name 1 book that made you change something in your life. — Name 1 book that you have read more than once. — Tell us your Sexiest couple from a book and why. — Tell us your 2 favorite villians and the books they were in.